""ring the maritime climate into your own home and enjoy the South Seas breeze." In the tradition of maritime seafarers, this colour design uses blue, white and red. The reason for this is not only aesthetic, but also simply practice, because even in poor visibility the colours must be able to be seen. Colours such as yellow or green were also often used. These fresh colours should remind one of the glorious time of sailing ships and are, so to speak, beautiful highlights in the living room. Regardless of whether it’s a house at the ocean or a holiday on the beach - the Maritime furnishing style has something liberating and relaxing in itself. For the Maritime style, materials are used that relate to the sea such as wood from which boats were made, ropes, nets, linen and cotton. Maritime signs on metal plates can also add a particularly maritime touch to the living room. The secret of success of the Maritime style is probably the emotion of running barefoot through the sand, and dancing and singing for joy in the waves of the sea. This is the feeling which should be re-created by the floor in its soft colours and structures. 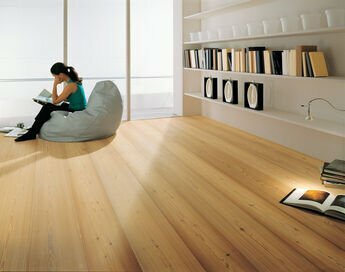 The pleasant feeling of walking on a mafi natural wood floor and being happy in the moment. 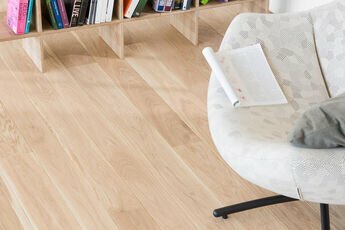 We recommend the BASIC OAK, ALPINE and TIMELESS collections in natural or white oiled variation.